The Scicon Brake Lever and Gear Protector is one of those transportation accessories you don't want to be without with travelling with your bike. With tailored features designed for road bike drop handlebars and specialised padded covers reinforced for brake levers and delicate parts, the Scicon Brake Lever and Gear Protector is a great addition to your bike kit. Don't forget this one when on the move. - T.H. Specifically designed for road bike drop handlebars. 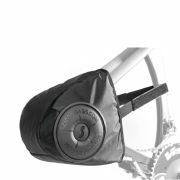 Padded cover for handlebar and brake levers bracket/ derailleur. Ergonomically shaped and fastened with Velcro straps. Very Very bad feeling for first time to shopping at your website. Does what it says - keeps rear mech protected in the back of the car and keeps all my other gear oil free! Really good products and combination. 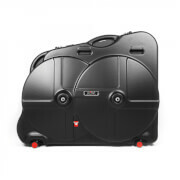 I used these to pack my road bike for a long trip in a basic bike bag in the back of a car. 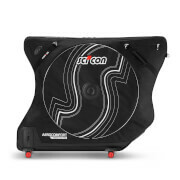 I have to say that I cannot fault the Scicon products and service. These are easy to fit and are well thought out. You can be confident those beautiful carbon levers are not scratched, and that your bike bag doesn't get covered in oil from your chain and gear. Recommended if you need some protection. This is by far the best protective equipment I have purchase for the protection of my bike components. Very easy to install, nice looking, couldn't ask for more !! !